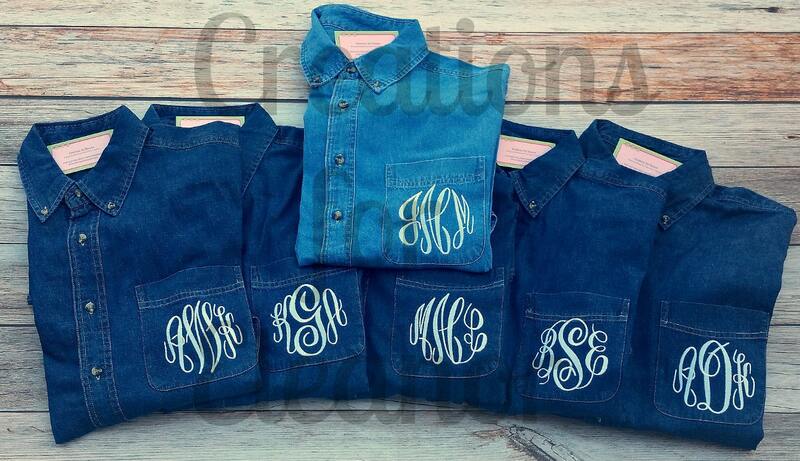 The perfect addition, a classic monogram added to an oversized denim shirt. 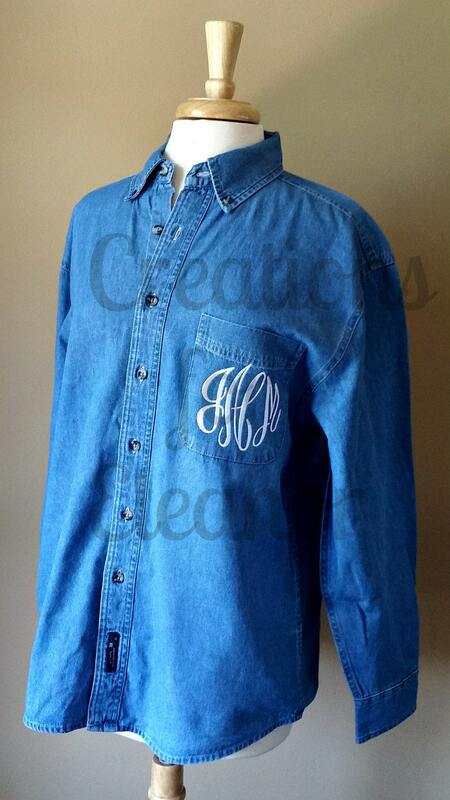 Shirt is a long sleeved, 6.5-ounce, 100% cotton denim shirt. Double stitching is done throughout, horn-tone buttons and available in faded blue (shown in sample) or Ink. Monogram shown is in cranberry red, others are available Endless color choices for the monogram, message me if you have something specific in mind. If nothing else is indicated, shirt will be done with the Intertwine and aqua.